Lambert Condition Monitoring offers a customized, comprehensive monitoring and reporting service in addition to test plan consultancy. Contact us to schedule an interview where we can discuss your specific needs. 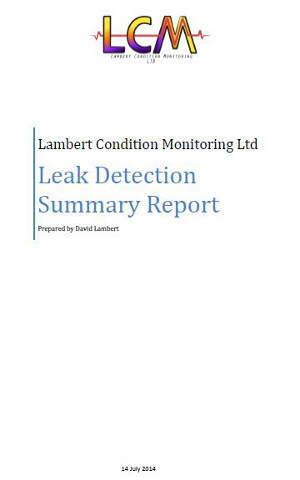 Download the free sample Leak Detection Report Here.